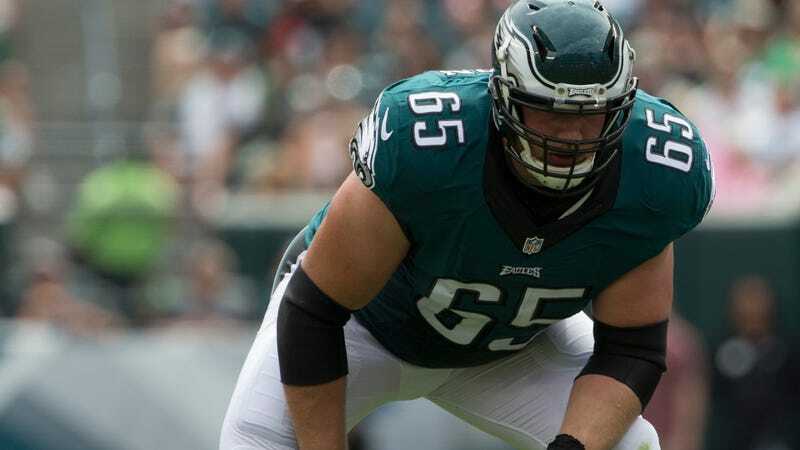 Eagles offensive tackle Lane Johnson is suing the NFL and the NFLPA over his 10-game suspension this season. Johnson was suspended in September after testing positive for performance-enhancing drugs for the second time in three seasons. Though he appealed the punishment, the suspension was upheld and he served it as originally handed down. Now, he’s filed a lawsuit in federal court, claiming that his arbitration hearing did not follow NFL rules. According to the complaint, Johnson’s hearing had two arbitrators rather than three, and those two arbitrators were not selected in accordance with league and union procedures regarding conflicts of interest. The complaint also notes that the NFL Management Council did not provide Johnson with information about his case that he had the right to know during his appeal. His legal team additionally asserts that the drug testing wasn’t fair to begin with—Johnson’s 2016 failed test was described to him on the grounds of “probable cause” more than two full years after his 2014 failed test, though the league only allows “probable cause” testing for the two years after a positive test.